A group fundraising campaign for Habitat for Humanity of Champaign County. We will be building in the region of La Libertad in El Salvador. We will be working alongside the homebuyers and Spanish-speaking local masons. Homes are small — tiny by our standards, a few hundred square feet. 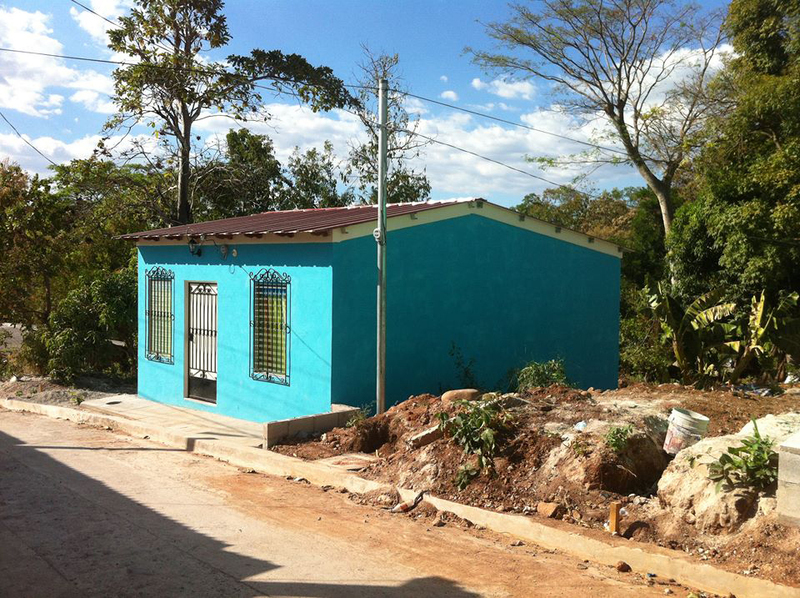 On average, a single-family home in El Salvador costs about $7,000. Modest by American standards, the home consists of two to three rooms with simple electrical and plumbing systems. For families earning only $6.25 to $25 a day, it's a home of infinite value and opportunity. Each house allows families to move out of mud, cardboard or tin shanties and into decent, affordable homes that are built to keep them safe during El Salvador’s frequent earthquakes and inclement weather. As you build, you’ll be welcomed into the community. Learn to make pupusas and try other typical foods, meet the neighbors whose community you’re helping to improve and explore local sites. This trip is a unique opportunity to experience life inside the culture. Habitat for Humanity of Champaign County and ReStore is a nonprofit, Christian housing ministry that works both to eliminate poverty housing around the world and to make adequate housing a matter of conscience and action. Habitat welcomes partners from any faith – or no faith tradition – who are willing to help improve the lives of families needing safe, affordable, decent housing. Thank you, Amy! I appreciate it! I hope all is well with you. Thank you so much, Judy! I truly appreciate it! We are thrilled that you get to go on this trip!!!! Can't wait to hear all about it! Wish I could join for this build - hope you have another incredible experience, Gary. Proud of you helping humanity Matt! This is fantastic, I'm so happy for you! While I wish I could physically help out, that is not an option given my medical issues. As a recently retired teacher, I can do occassional sub work and love donating 1/2 of every day's pay to the work of the "builders". Wonderful! Thank you for all you do!